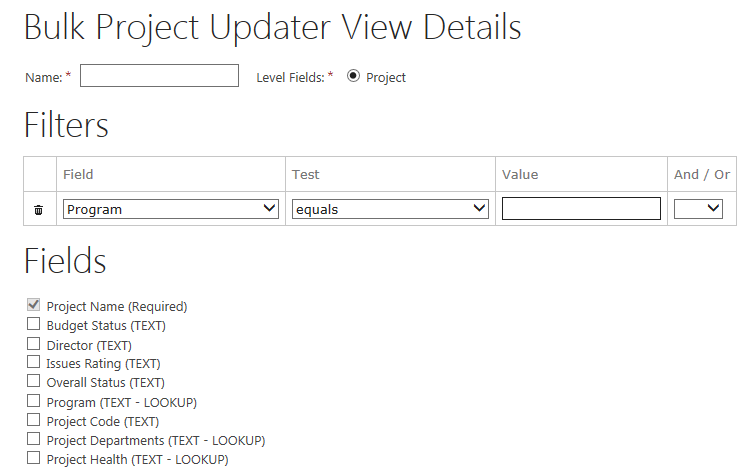 The Bulk Project Updater allows your administrator to quickly publish updates to project level Enterprise Fields. These updates are made over multiple projects that can be selected through the use of built in filters. Choose your projects by filtering by start, finish, owner and enterprise project types. Use these project filters to target key projects in your portfolio. Choose the targeted custom fields. 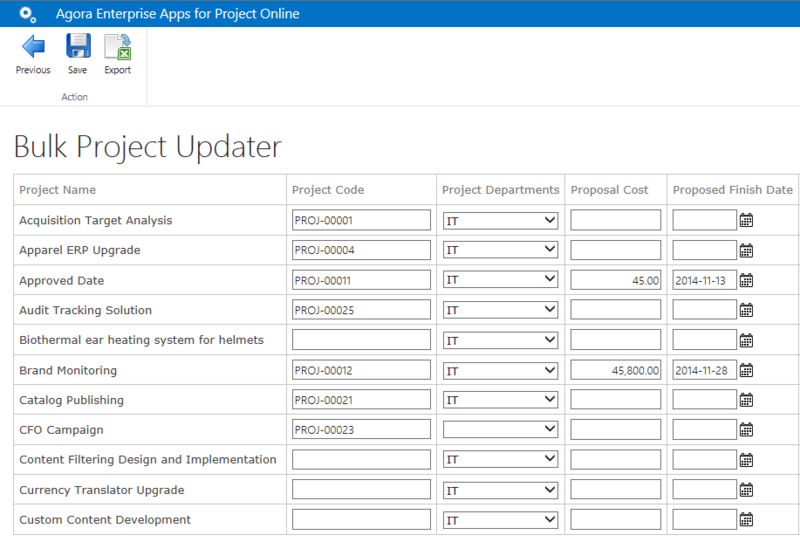 Monitor the status of each project as changes to custom fields are made.